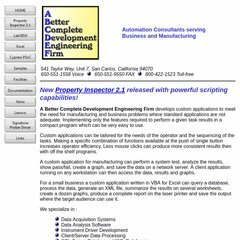 Topics: Website Design Services, Labview, Excel, Psoc, Samples, and Facilities List. It has 2 DNS records, ns58.1and1.com, and ns57.1and1.com. 1 1 Internet Inc. Pennsylvania is the location of the Apache server. Its IP Number is 74.208.28.142. PING www. (74.208.28.142) 56(84) bytes of data. Pinging the server, resulted in a 1.46 ms response.